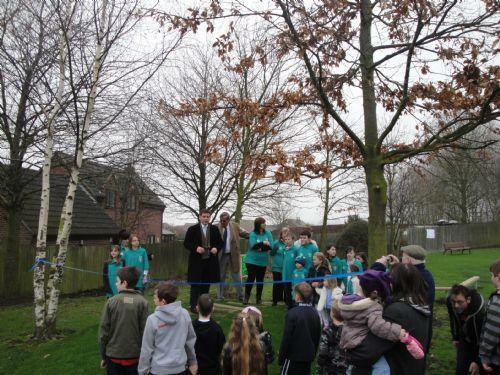 We shared a proud moment when the park next to school was opened last weekend! The Acorn Action Group (parents and children past and present) did the whole community proud when they could see the result of all their hard work had eventually paid off. The laughter of children playing on the new park was just reward for all their determination to make the park a better place to be. Even when funding was threatened they didn't give up! Not only does it look much better but it offers lots of new entertainment for the children and is yet another great resource right next door for children to use! We are opening up the little gate so teachers can bring children in. Congratulations on a great job and enormous thanks to everyone involved - it just shows that changes can be made for the better when communities work together!